In a lawsuit Witczak brought against Pfizer, the maker of Zoloft, documents showed the company knew about particularly troubling side-effects — like patients feeling as though their heads were detached from their bodies and they were looking in. This reminds me of when I first got my Hoffer-Osmond Diagnostic test, which measures perceptual stability. I was using it to screen prospective volunteers for safety prior to taking native hallucinogenic mushrooms (no, I don’t live in the South, and yes, manifold dysperceptions contraindicate hallucinogen use). As I worked as a volunteer at a crisis drop-in center, I had no shortage of prospective clients and no shortage of high scores, plus some belonging to curious people on meds, usually for depression which proved to be misdiagnosed by their high scores, but erroneously treated by their physicians, who didn’t use such instruments (and still don’t). This test isn’t useful for children as they routinely have frequent have high scores, which place them in the same class as my misdiagnosed older test takers. 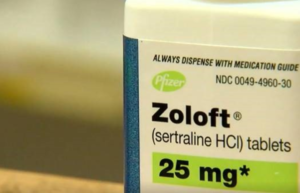 Since SSRI’s have the same kind of bad consequences as the older antidepressants, is there any surprise that “medicated” children are coming unglued on their prescriptions? It is an abusive pseudoscience acting as an arm of law enforcement to maintain social control while riding the tails of CAPITALISM via PHARMA and taking the world for a ride all the way to the bank. Profit at all costs. Gotta pay the stockholders, gotta pay the executives, gotta spend more on advertising than R&D. Gotta drug people into forgetting how miserable they are even if they really are sick with a physical illness. Most late lyme patients are familiar with being told its all in their head and referred to psychiatry. Most trauma survivors are familiar with being given prescriptions and labels instead of concrete assistance. Our medical care system is a subscription service not unlike cable tv, music streaming, or amazon prime. Most medical research focuses on finding medications you must take for life to continue, it does not search so much for cures. Cures are not profitable. The capitalist system we live in creates winners and losers. Divide and conquer.